Itxaspe Campsite is situated in the area of the same name, in the town of Deba, surrounded by a beautiful environment with magnificent views of the sea and the cliffs. 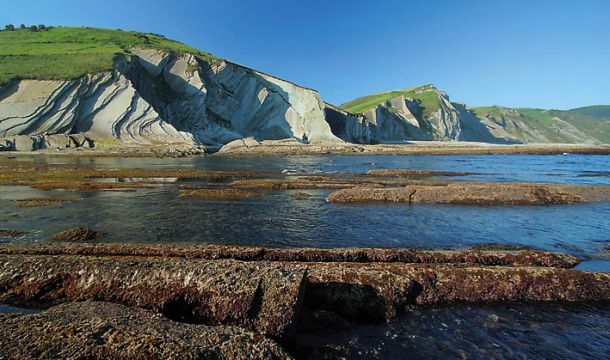 The Campsite is 32 km from San Sebastian and 55 km from Bilbao. The price of the plot includes: "auto + caravan" / "campervan" / "auto + family tent"
- The bed linnen and towels included. - Animals are not allowed in Apartments and Bungalows.